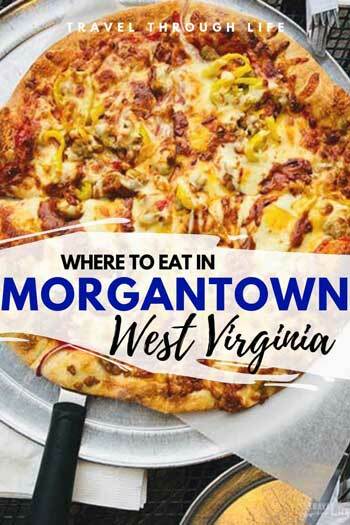 We thought you should know the best drinking spots and restaurants in Morgantown, West Virginia. That’s because you should be coming for a visit really soon. 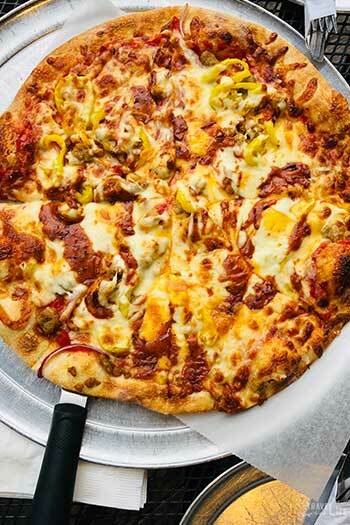 Whether you’re staying for a weekend or spending time more-than-a-college-town during the week, here are the spots we’ve enjoyed grabbing grub or drink in Motown. And based on our findings, we can’t wait to go back and discover even more. We mentioned quite a few of these places in our Weekend Things to Do in Morgantown guide and in our section dedicated to Motown. 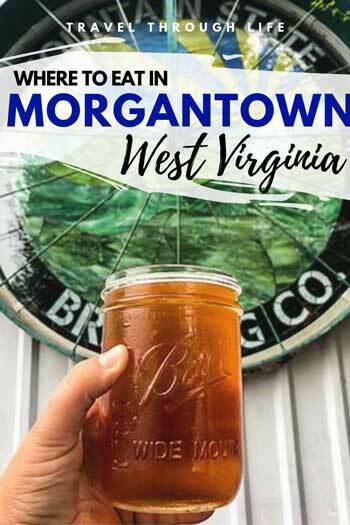 You can grab a beer at 100 different places in Morgantown, so why not go to a place that serves over 100 different beers! Apothecary Ale House & Café (227 Chestnut St.) provides a laid-back and calm vibe along with local and imported beers on their 16 constantly rotating taps. They also offer over 120 varieties of bottled/canned beer and cider. 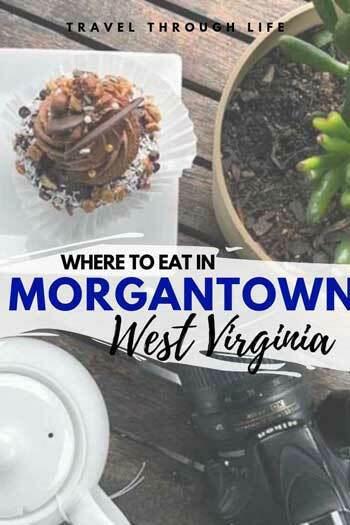 They also serve food, like their delicious bean and corn chili, which vaults this place into the mix of best drinking spots/restaurants in Morgantown. Located off the Rail Trail in Star City, Terra Café (425 Industrial Ave.) is a farm-to-table spot that brews more than just coffee! Of course, you should go for a cup of joe. Just don’t forget they also make incredible lattes, Chia Nanas, Flat Whites, and locally picked tea, too. Inside this wide-open space, you’ll also find a delicious food menu for breakfast, lunch, and dinner. When you go up to order, you won’t be able to take your eyes off the dessert choices from their bakery. 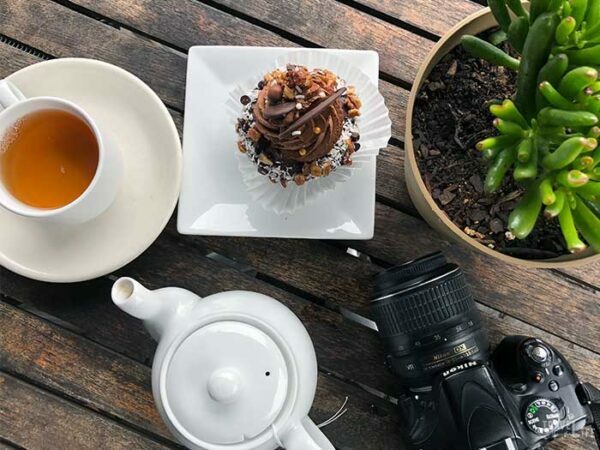 Bonus: Add in a packed calendar of special events and you’ll find Terra Café is among the best restaurants in Morgantown to meet a friend or get some work done on your own! Wandering through downtown Morgantown and you’ll find the coolest fruit stand on the corner of High and Walnut Street. 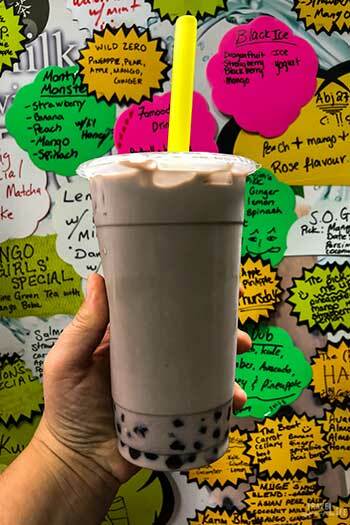 Serving up fresh smoothies, crepes, and drinks, TK’s Fruit and Produce (300 High St.) is a must-stop for their Taro Milk Tea with Tapioca. You can also grab some Pingsu (snow ice) any time of year. One of the prime locations for vegetarian options, Black Bear Burritos (132 Pleasant St.) cooks up incredible Mexican choices. Gobble down your Rail Trail Quesadilla or your Motown Philly, and you will not be able to slow down when eating. You can finish your meal off with a soda float made with handcrafted Saranac sodas. Why not get a great meal and an incredible cocktail all at one place! Share a charcuterie and chorizo-poblano mac and cheese at Iron Horse Tavern (140 High St. and 525 Granville Sq.). You can also be a little greedy and gobble down the Wild Mushroom Pierogis. But please, start your meal with one of their specialty cocktails made with house-made infusions. 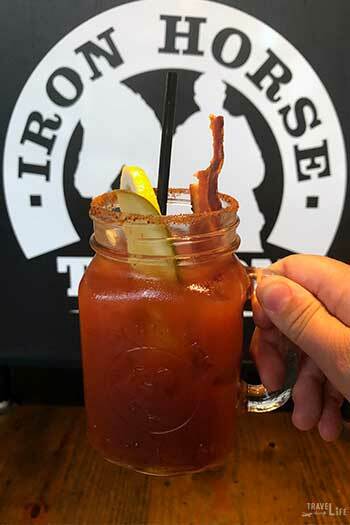 Make sure to order their Bloody Mary with bacon-infused vodka. And don’t skip the pickle, either! 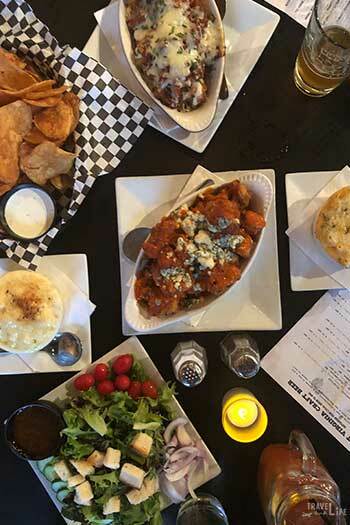 We also mentioned Iron Horse Tavern as one of the best restaurants in Morgantown to help you beat the Monday blues! A riverside view and spectacular artisan food are what you’ll find at River Birch Café (48 Donley St.). Whether you choose something healthy like a granola cup or go all out with a gourmet bagel or meat-filled croissant, you’re making a good decision. Bide your time with a Jamaican Blue Mountain French press or grab an Evergreen Smoothie to go. Regardless, you’ll find River Birch is one of the best breakfast restaurants in Morgantown. With over 16 acres of award-winning grape producing wine, Forks of Cheat Winery & Distillery (2811 Stewartstown Rd.) offers an incredible and relaxing view, too. Owner Jerry Deal began his grape-growing business after he was caught stealing and eating grapes from his neighbor’s vines as a young boy! Producing everything from dry reds to sweet dessert wines, there are plenty of choices to bring home from Forks of Cheat Winery & Distillery. 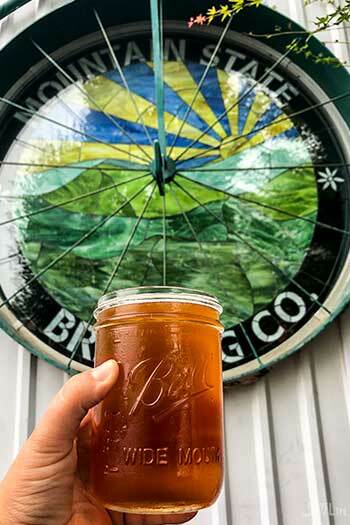 Bonus: In addition to the successful winery, they also have a small batch distillery that produces Appalachian inspired brews to cure your ales! 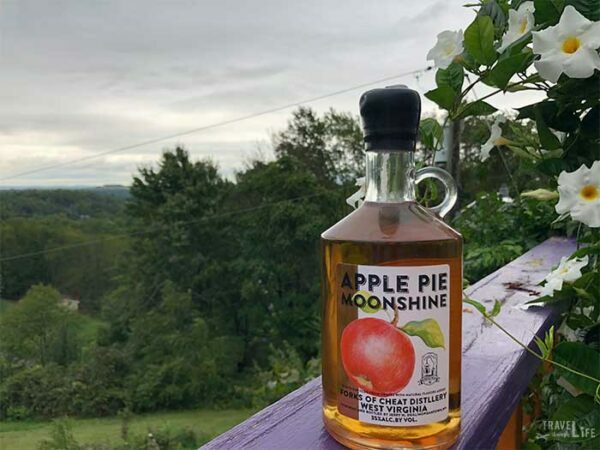 Our favorite- the apple pie moonshine! Can’t go to WV without a little shine! 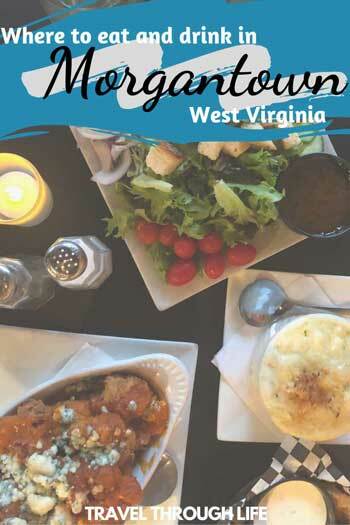 After reading these again, we’re hungry for more restaurants in Morgantown. 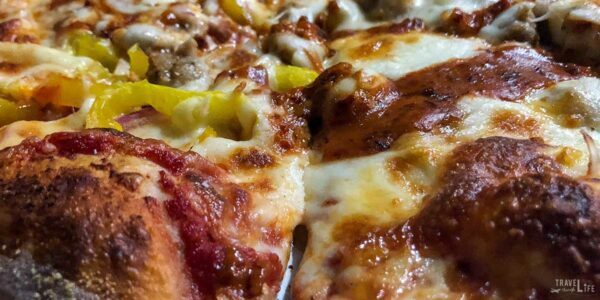 While we get ready for our next trip there, we’d like to know where your first bite in Motown will take place. If there’s somewhere that we missed, let us know about it. Our curious stomachs always love a new place to explore! This post is part of our Travel Destinations series on USA Travel and West Virginia Travel. Special thanks to the Greater Morgantown Convention and Visitors Bureau for providing us with accommodation and meal assistance while visiting. All opinions within this article are our own.